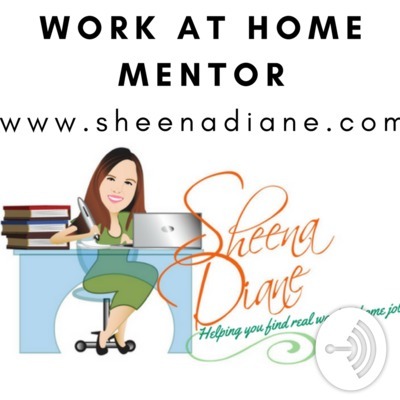 My name is Sheena and I am a work at home mom, giving you tips and tricks to find work at home jobs and avoiding the scams! From one Mompreuner to another! Voice over work can be a great career! Today's episode is not our normal subject matter. We are diving into ghost, spiritual gifts, and energy healing. I love hearing from you so please find me on Instagram. Www.instagram.com/sheena.diane and my blog www.sheenadiane.com or my Facebook (Wahm Sheena Diane) also check out Marias station Strong Body, Strong Soul! Kick that new year resolution and create a goal instead! Kick off 2019 right, don't give yourself a resolution that you'll break in a month, instead have a clear idea of what you want your future to look like and work hard until you get it!!! If you are in a service based industry where you offer something to someone, then you need these tips! Take a time out mom! As moms we do a lot. Most the time it's second nature and we don't even think about it, but now and then we need an adult time out. Tips to find freelance writing jobs! Getting traffic to your blog! Moms we do it all. Wow we do a lot!??? Real struggles of a momprener! When you have a set goal your mindset will change! The dreaded taxes and what you need to know if you own your own business in Florida! Do you want to start a drop shipping company?? How you can avoid getting scammed! Mystery shopping, Pearl's, and new adventures! I deleted the brain course as it was getting way to long! If you have a clear vision of what you want, it’s much easier to achieve those goals! Why you need a business plan! A business plan will keep you on track to reaching your goals! Why you should fall in love with social media! Don't be afraid of change! The only people who don't fail are those who don't try! Have more than one stream of income..
when life gets you down, keep your mind busy! Advice from one of the greats! Jack Lalanne speaks the truth! How being unplugged can help you build your business! Give tour kids 1 day a week to just be with you without using their devices. Turn off that cell phone, tablet, and computer and be a kid with your kids! Tips on how to keep you on track and not getting burnt out while working at home. Some of the trials you face when working at home. Your time is worth something! Shepard pie... when your in a rush! How do you deal with not having patients? Welcome to WAHM radio • This is Work At Home Mom 💁 • Knowledge is power! So you want to be a Freelance Writer? 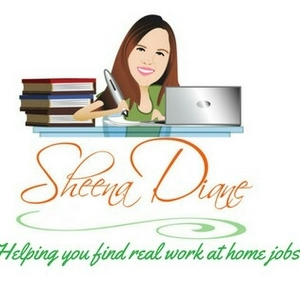 • Freelance writing tips • Tips to find freelance writing jobs! Confidence intro • This is Work At Home Mom 💁 • Be confident in your skills! This is Work At Home Mom 💁 • Little wins! Yard sales • This is Work At Home Mom 💁 • Sell your stuff and make money! Work at home radio • This is Work At Home Mom 💁 • Criticism • No escape (story) • Dare to act • Take a walk around yourself (poem) • Eleanor Roosevelt quote! This is Work At Home Mom 💁 • What's happening to transcription jobs? Motivational Morsels intro • Climbing with courage • Courage to risk (poem) • The fighting spirit (poem) • I lack courage in all things! Motivational Morsels intro • It's hard (poem) • Burned up with anger (story) • Use anger to your advantage! Why You Need To Network! Wahm networking • Why networking is vital for any business! Intro to motivational morsels • Think Right • Jump In (story of motivation) • Keep your motivation (poem) • Visualization is key! Yes, You Can Work From Home! Here is a rundown of what you will find on my station. Why hustling will help you get results! Open Those Doors In 2018! Balance is My 2018 Word! Getting an LLC for your biz. A great job you can do on your time! Ideas for jobs to fit around your scedule! No Such Thing As Money Now!!! When you look for fast money you scream scam me! How Do You Keep Your Focus? Crazy morning and energy is off the charts... How do you get your head back in the game? Why you should create a vision board for 2018 goals! How Can You Make Extra Income? Think of ways to bring in multiple streams of income at your current job! Some tips for starting a freelance writing career!